Caroprese & Company is a certified public accounting firm that provides innovative and strategic services to a diverse client base of individuals, families, small and medium size businesses, government entities, non-profits and large multi-national corporations. Our dynamic professionals perform at a high intensity and are laser focused on providing excellent cost-effective solutions to our global clientele. When partnering with Caroprese, you can expect significant involvement with experienced professionals that maintain the highest levels of confidentiality. We approach every project with a proven methodology that results in tailored solutions to our clients’ most complex problems. Our success is not determined by short-term engagement results but by the long-term success of our clients. Trusted by leading entrepreneurs and executive management, Brandon’s reputation as a knowledgeable advisor, meticulous project manager, and versatile technical expert continues to grow with every new client. Through his work both at Caroprese & Company and his previous institutional role with KPMG LLP, Brandon has introduced, designed, and implemented industry leading practices across strategy, operations, taxations, accounting, human resources and more for successful businesses throughout the United States and globally. Brandon’s vast experience range includes services as an advisor to corporate directors, CEOs, CFOs and management of public and private companies across multiple industries, including state and local government entities. While a Manager at KPMG LLP, Brandon gained valuable experience working with Fortune 500 companies and large state and local governments. Throughout his experiences with KPMG, Brandon became inspired to build his own CPA firm that would be founded upon trusted client relationships. Brandon’s mission is to build a firm equipped with top talent and cutting-edge solutions where staff lead professionally challenging and meaningful lives. Brandon encourages the staff of his firm to go above and beyond for clients, to challenge themselves each day, to constantly learn from mistakes and to deliver ultimate value when it matters most. Brandon is frequently engaged as an advisor by executives at public and private corporations, state and local government municipalities and non-profits. With expertise in business performance improvement, restructurings and technology, Brandon has proven capable of keying essential change within companies possessing as much as $10 billion in assets and over 20,000 employees. Brandon has a successful track record of generating significant improvements for even the most complex organizations. Brandon possesses a diverse understanding of very technical issues in both fields of accountancy and taxation. Brandon serves a broad client base of high net worth individuals, private equity funds, hedge fund managers, and multi-national corporations. His firm provides leading tax return preparation and tax consulting for corporations, pass-through entities, and individuals. Brandon advises clients on a range of complex issues including transfer pricing, tax-free reorganizations, and complex distressed company situations. 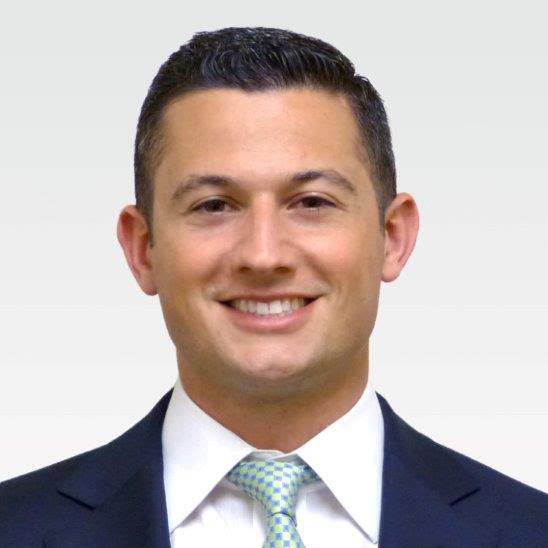 Brandon is experienced in M&A transactions (both PE & strategic), representing both buy-side and sell-side companies, structuring tax-efficient deals and performing due diligence investigations on target companies. Our values drive everything we do—from the people we hire to the equipment and services we invest in, to the commitment we show you each and every day. Live with one foot raised. You will want to capitalize on every opportunity to realize greater success. We strive to deliver that, with a proactive approach and a constantly calibrated understanding of your specific situation. We use your precise objectives and strategic goals to drive our decision-making and daily priorities. We stay focused on your exact needs to eliminate inefficiencies and uncover hidden value. Every member of our team is extremely passionate about what they do. This isn’t a job, it’s a call to serve and help others realize all they want to achieve. Every client is unique, but our process, applied uniformly across all client engagements, generates tangible results. Through our proven approach we’ll develop an executable strategy together, then attack it with relentless and unwavering energy. When it comes to taxes and accounting, you can’t afford even a “small error.” That’s why you hire us. We obsess over the minutiae. We roll up our sleeves and get the job done right. One of the best things about working at Caroprese is that we’re a company with a history of more than 45 years yet we operate with a very bold startup mentality. Caroprese is a non-hierarchical meritocracy. Every team member, from Principal to Associate, has a well-defined role within the organization and is incentivized to explore their intellectual curiosity in such a way that will uncover hidden opportunities for the firm and its clients.